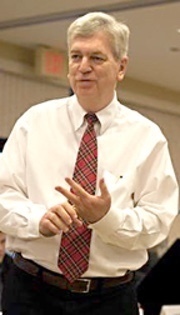 This newsletter was sent to all of the subscribers on Jim’s list (2,918) on Friday, January 25, 2019. The newsletter this week has a decidedly British flavor to it. That was not deliberate, but I’m pretty pleased with the way that things have turned out. How can you go wrong with Margaret Drabble, J.K. Rowling, Benjamin Disraeli, and the man many people believe was the worst writer in Christendom — but who really wasn’t. Again, a couple of items of shameless self-promotion are repeated from previous newsletters and appear below the signature. They’re about Baseball Joe, where we have a new title listed, and Seeing Suffrage. Thanks for checking them out. I hope you’ve had a great week and are looking forward to a wonderful weekend. Under the newsletter’s hood: Last week’s newsletter was sent to 2,927 subscribers and had a 27.5 percent open rate; 8 people unsubscribed. Ok, not very good, I’ll admit, but I have read much, much worse (and so have you). It certainly doesn’t deserve the scorn that has been heaped upon it and its author for lo these many years.
. . . the pursuit of the almighty dollar.
. . . dweller on the threshold. So, give the man some credit. He was a serious writer doing the best he could, and his works were quite popular in his day. Bulwer-Lytton (1803-1873) began his literary career with a book of poems in 1820, but the publication of his novel Pelham in 1828 brought him fame and money. Pelham was a humorous novel of pre-Victorian high society that had readers talking and guessing who the characters in the book were based on. Bulwer-Lytton was also involved in the politics of his day, rose to be Secretary of State for the Colonies, and had much to do with the founding of the province of British Columbia in Canada. At one point in his life, he left politics for a time because his literary career took precedence. Bulwer-Lytton married Rosina Wheeler in 1827, but the marriage was anything but ideal. His devotion to politics, a literary career, and other women embittered Rosina, and they separated in 1833. The acrimony of that separation led Rosina to write a novel that satirized her husband mercilessly, and the disputes between them were carried on for many years. Twenty-fives after the separation, she denounced him publicly when he ran for Parliament. He had her committed to a mental asylum but after a public outcry had her released. It was a dark and stormy night; the rain fell in torrents—except at occasional intervals, when it was checked by a violent gust of wind which swept up the streets (for it is in London that our scene lies), rattling along the housetops, and fiercely agitating the scanty flame of the lamps that struggled against the darkness. As I said, not great. But the man deserves better. It should be noted that Edgar Allan Poe also used the phrase “dark and stormy night,” but he never began anything with it. 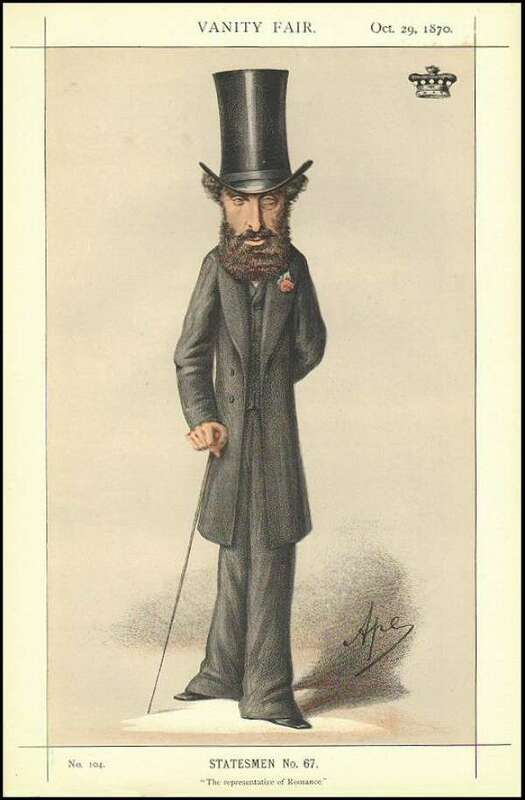 Illustration: A caricature of Bulwer-Lytton for Vanity Fair by APE (Carlo Pellegrini). See below. To prove, to some extent, that Bulwer-Lytton was not as bad a writer as some think, below the signature of this email is the first chapter of his popular novel, Pelham. It’s very short, so read and enjoy. British novelist and non-fiction writer Margaret Drabble, aka Dame Margaret Drabble, aka Lady Holroyd, loves Lee Child and his Reacher novels, has never read any of the Harry Potter books, and takes a lot of comfort in Anthony Trollope. Drabble says she doesn’t laugh a lot, but Muriel Spark’s Symposium made her laugh. Drabble was once an actress in the Royal Shakespeare Company but gave that up for literary pursuits. Much of her early education took place in America, but she became sharply anti-American when George W. Bush invaded Iraq in 2003. Her work includes more than 20 novels and several biographies and non-fiction works on British literature. When it comes to 19th-century British politics, the title is apt. The two men dominated London’s political scene for more than 40 years, and they were bitter rivals. It’s fair to say that they hated each other, so much so that when Disraeli died, Gladstone would not attend his memorial service. It occurred to me as I was watching it that while the two men had distinct physical appearances, Disraeli’s was by far the more unusual and interesting. Just as Disraeli and Gladstone were making politics into something modern, so too were caricaturists evolving the modern forms that we see today. And Disraeli, inadvertently, was a big part of that evolution. Disraeli’s face had sharp, easily distinguishable features. His hair fell from the sides of his head in ringlets. He often had a droll, sleepy-eyed countenance. While others of his age sported beards or sideburns, Disraeli usually had only a whisp of whiskers on his upper and lower lips. One artist in particular, Carlo Pelligrini, made a name for himself by drawing Disraeli for Vanity Fair, the British society publication. 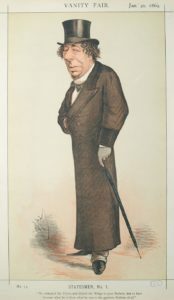 Pelligrini drew a caricature of Disraeli that appeared on an 1869 cover of the magazine as the first full-color lithograph the magazine presented. It was immensely popular, and that issue of the magazine sold out immediately. Pelligrini contributed caricatures to Vanity Fair for 20 years and became one of its most important and popular artists. Pelligrini was an odd character himself, openly homosexual when that was a dangerous admission according to British law. He signed his work APE, and that is how he is known. He was full of eccentricities, such as sleeping with a cigar in his mouth. 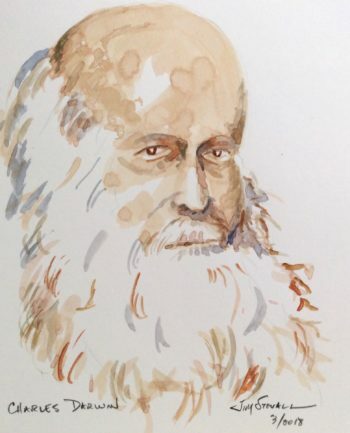 He tried to establish himself as a portrait painter on the order of John Singer Sargent, whom he knew fairly well, but he was never as successful as he wished to be. He died in 1889, two months short of his 50th birthday. Today, original prints of his work are highly valued by collectors. The National Portrait Gallery has an extensive online collection of his work, which is a lot of fun to look at. Do you have a book to recommend? For the past couple of weeks, I have been immersed in the C.B Strike detective series by Robert Galbraith, and I have thoroughly enjoyed them. There are four books in the series: The Cuckoo’s Calling, The Silkworm, Career of Evil, and Lethal White. Cormoron Strike is the grizzled detective who lost part of a leg in Afghanistan and now haunts the mean streets of London for clients willing to pay. Robin Ellacott shows up in his office as a temporary secretary but soon discovers that she has a gift — and a desire — for finding out information, and Strike eventually takes her on as a junior partner. Robert Galbraith is a pseudonym for J.K. Rowling, who uses this pen name to make sure the novels are not classified as young adult books. As you might expect, her writing is straightforward and the storylines are easy to follow. I recommend them. And that led me to thinking: what have you been reading lately that you would recommend? I haven’t asked that for a long while and would like to hear from any and all who have books to commend. 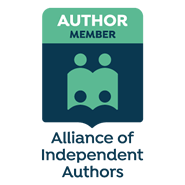 Fiction, nonfiction — it doesn’t matter. Just let me hear from you. Many thanks. T.C. : I’ve been receiving your newsletter for perhaps a year now, and truly enjoy it. I often save it in a file to read later. However, when I read your “30.9 percent open rate”, I felt guilty – you see, I often read the whole newsletter in the preview pane! A habit of mine that I didn’t realize would have consequences on your end (and others). So – is there a way for you to discern or estimate a higher number of readers who are actually using the preview pane to read your emails? Just thought you’d like to know! Vince V.: Your point about paying for journalism is well made. For the first time in my life, I subscribe to no printed newspapers or news magazines. However, I do subscribe and read 5 online news publications. Print products are gutting their offerings and increasing their prices exponentially. Vulture capitalists are buying once-respected news outlets, milking their good names dry and then casting them aside. I hope responsible journalism in the digital age soon finds its footing. It can’t come soon enough for me. 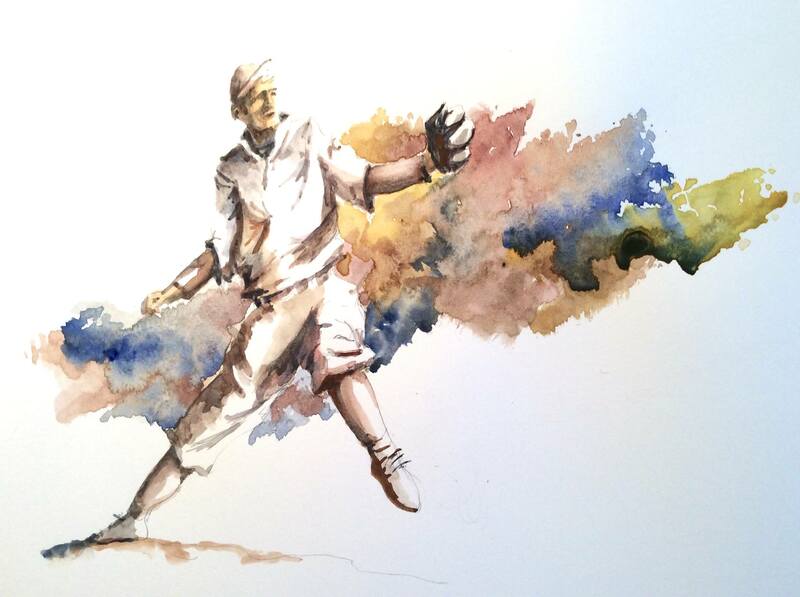 This watercolor is being used for the covers of the new editions of the Baseball Joe series that First Inning Press has recently published on Amazon and elsewhere. See more below. “I consider myself kind of a reporter — one who uses words that are more like music and that have a choreography. I never think of myself as a poet; I just get up and write.” Mary Oliver (1935-2019), poet. The winner of the Pulitzer and National Book Award. The newsletter last week carried an item about the incomparable Edward Stratemeyer whose publishing syndicate produced for us young 20th-century readers series of books like the Hardy Boys and Nancy Drew. 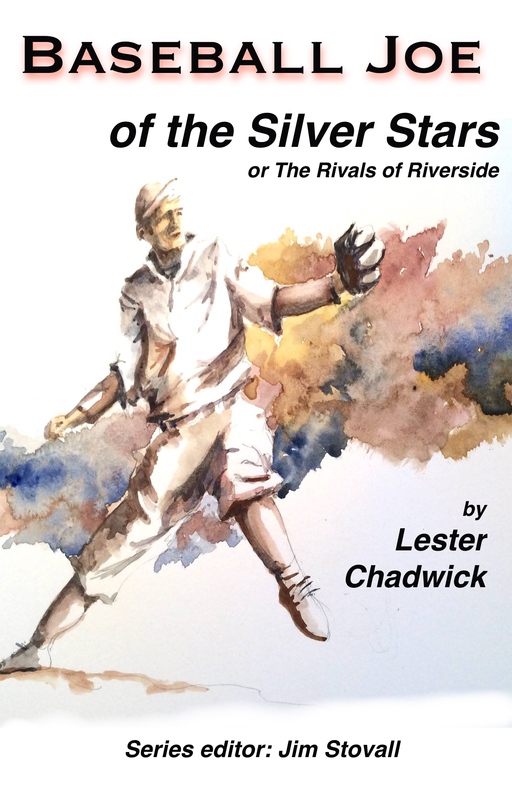 One of those series was titled Baseball Joe, and Stratemeyer published 14 volumes between 1912 and 1928. The “author” of the series was Lester Chadwick, but they were actually written by Howard Garis and John Duffield. The Baseball Joe series follows Joe Matson as he starts on the local sandlot and ascends to the top of the baseball world. These new editions contain more illustrations than were found in the originals. The new illustrations are by me. The first of the volume listed above (Silver Stars) is currently $ .99 on Amazon. The others are $2.99. We will be bringing out paperback editions before long and will also be publishing other volumes in the series. Several years ago I wrote a book about the 1913 Woman Suffrage Parade that was held on March 3, 1913, in Washington, D.C. It was the day before Woodrow Wilson was inaugurated. Not only did this event turn out to be a pivotal one in the history of the suffrage debate, but it also was one that was well-covered by the newspapers of the day — particularly photographers. In my research, I had discovered a trove of photographs in the Library of Congress and in the library of the Sewell-Belmont House, the historic headquarters of the National Woman’s Party. Many of these photographs had never been published before and were included in the book. 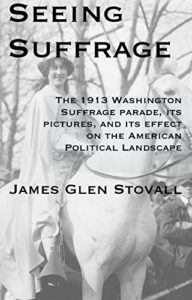 The book, Seeing Suffrage: The 1913 Washington Suffrage Parade, Its Pictures, and Its Effect on the American Political Landscape, was published by the University of Tennessee Press. The press published it only in a hardback edition, however, and has never brought it out as an ebook. Since I hold the copyright, I decided that it was time for that to change. That project was completed just two days before Christmas and is now available on Amazon (free if you are a Kindle Unlimited member). If you have a chance to look at it, I’d like to know what you think. I am an only child. My father was the younger son of one of our oldest earls; my mother the dowerless daughter of a Scotch peer. Mr. Pelham was a moderate whig, and gave sumptuous dinners; Lady Frances was a woman of taste, and particularly fond of diamonds and old china. Vulgar people know nothing of the necessaries required in good society, and the credit they give is as short as their pedigree. Six years after my birth, there was an execution in our house. My mother was just setting off on a visit to the Duchess of D_____; she declared it was impossible to go without her diamonds. The chief of the bailiffs declared it was impossible to trust them out of his sight. The matter was compromised—the bailiff went with my mother to C___, and was introduced as my tutor. “A man of singular merit,” whispered my mother, “but so shy!” Fortunately, the bailiff was abashed, and by losing his impudence he kept the secret. At the end of the week, the diamonds went to the jeweller’s, and Lady Frances wore paste. I think it was about a month afterwards that a sixteenth cousin left my mother twenty thousand pounds. “It will just pay off our most importunate creditors, and equip me for Melton,” said Mr. Pelham. “It will just redeem my diamonds, and refurnish the house,” said Lady Frances. The latter alternative was chosen. My father went down to run his last horse at Newmarket, and my mother received nine hundred people in a Turkish tent. Both were equally fortunate, the Greek and the Turk; my father’s horse lost, in consequence of which he pocketed five thousand pounds; and my mother looked so charming as a Sultana, that Seymour Conway fell desperately in love with her. Mr. Conway had just caused two divorces; and of course, all the women in London were dying for him—judge then of the pride which Lady Frances felt at his addresses. The end of the season was unusually dull, and my mother, after having looked over her list of engagements, and ascertained that she had none remaining worth staying for, agreed to elope with her new lover. The carriage was at the end of the square. My mother, for the first time in her life, got up at six o’clock. Her foot was on the step, and her hand next to Mr. Conway’s heart, when she remembered that her favourite china monster and her French dog were left behind. She insisted on returning—re-entered the house, and was coming down stairs with one under each arm, when she was met by my father and two servants. My father’s valet had discovered the flight (I forget how), and awakened his master. When my father was convinced of his loss, he called for his dressing-gown—searched the garret and the kitchen—looked in the maid’s drawers and the cellaret—and finally declared he was distracted. I have heard that the servants were quite melted by his grief, and I do not doubt it in the least, for he was always celebrated for his skill in private theatricals. He was just retiring to vent his grief in his dressing-room, when he met my mother. It must altogether have been an awkward rencontre, and, indeed, for my father, a remarkably unfortunate occurrence; for Seymour Conway was immensely rich, and the damages would, no doubt, have been proportionably high. Had they met each other alone, the affair might easily have been settled, and Lady Frances gone off in tranquillity;—those d—d servants are always in the way! I have, however, often thought that it was better for me that the affair ended thus,—as I know, from many instances, that it is frequently exceedingly inconvenient to have one’s mother divorced. I have observed that the distinguishing trait of people accustomed to good society, is a calm, imperturbable quiet, which pervades all their actions and habits, from the greatest to the least: they eat in quiet, move in quiet, live in quiet, and lose their wife, or even their money, in quiet; while low persons cannot take up either a spoon or an affront without making such an amazing noise about it. To render this observation good, and to return to the intended elopement, nothing farther was said upon that event. My father introduced Conway to Brookes’s, and invited him to dinner twice a week for a whole twelvemonth. Not long after this occurrence, by the death of my grandfather, my uncle succeeded to the title and estates of the family. He was, as people justly observed, rather an odd man: built schools for peasants, forgave poachers, and diminished his farmers’ rents; indeed, on account of these and similar eccentricities, he was thought a fool by some, and a madman by others. However, he was not quite destitute of natural feeling; for he paid my father’s debts, and established us in the secure enjoyment of our former splendour. But this piece of generosity, or justice, was done in the most unhandsome manner; he obtained a promise from my father to retire from Brookes’s, and relinquish the turf; and he prevailed upon my mother to take an aversion to diamonds, and an indifference to china monsters.